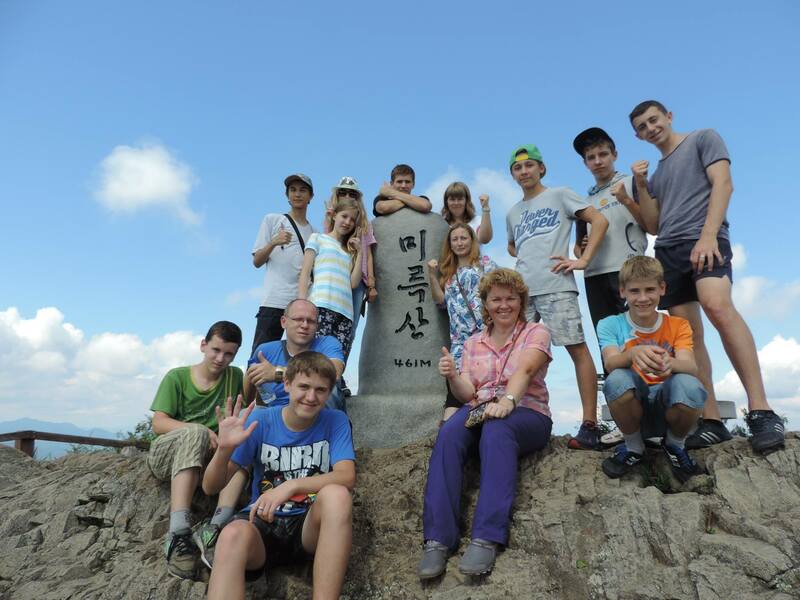 FFWPU Belarus: On August 17–31, 2015a second pilgrimage of second generation of Belarus to Korean Holy places connected to life and work of True Parents was held. 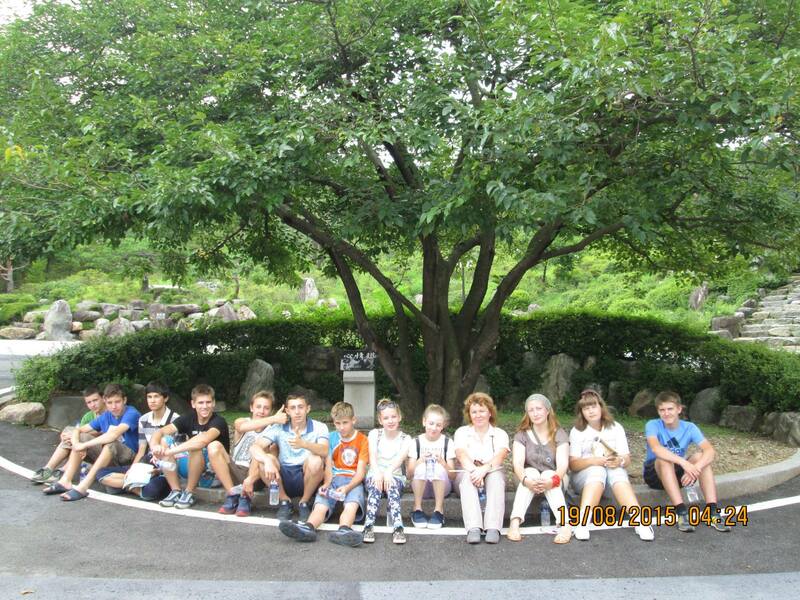 11 children took part in the program. The deepest impression for them was to see and to listen to True Mother during the special 3-day workshop at Cheong Pyeong Heaven and Earth Training Center. The participants of the pilgrimage could feel True Father’s heart when they were going up to the first Holy Ground in Pusan during a typhoon, meeting gale-force wind and heavy rain. They prayed holding hands and resisting the strong wind and then sang The Principle Youth March song. And after their prayer and song the wind began to calm down and the rain almost ceased. 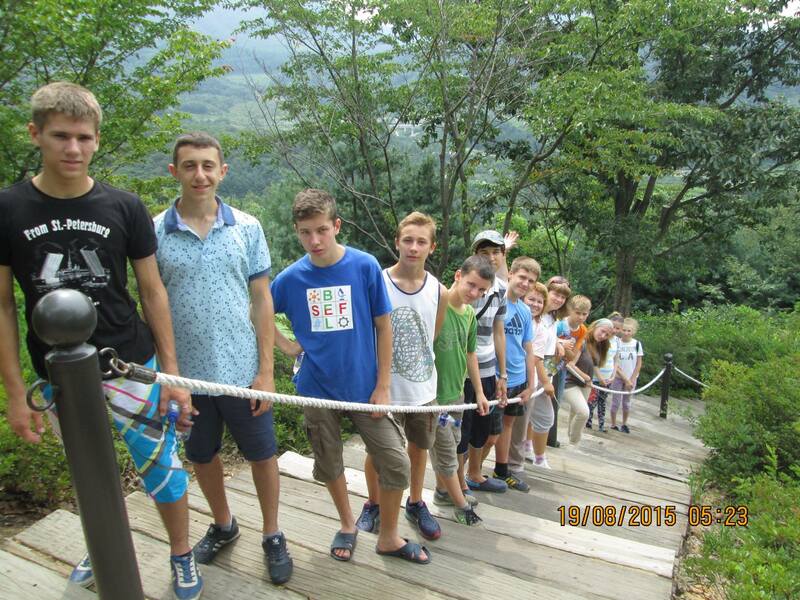 It became a very special experience for the second generation children! It was great! 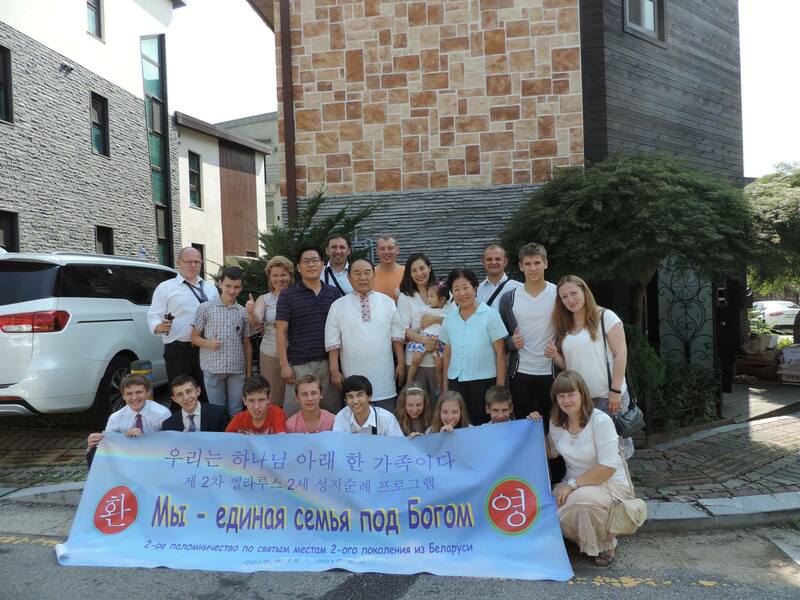 In their effort to unite with True Parents in their hearts the participants visited Cheon Jeong Gung, Chong Padong church, the training center in Yeosu, and Sun Moon University. 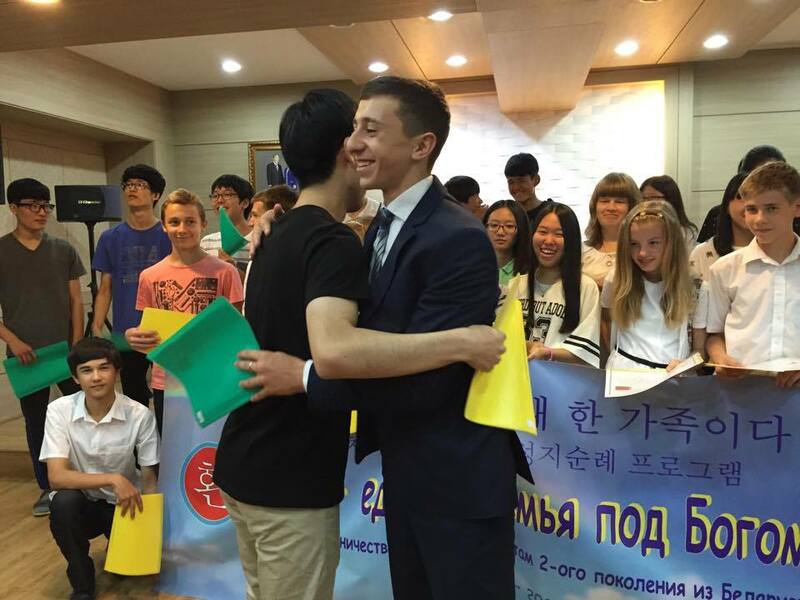 A ceremony “Peace Bridge” was held for Belorussian and Korean (Seoul) second generation children. The participants of the ceremony spent time together and became close to each other; they could deeply understand and feel their pilgrimage motto “We are the one family under God”. 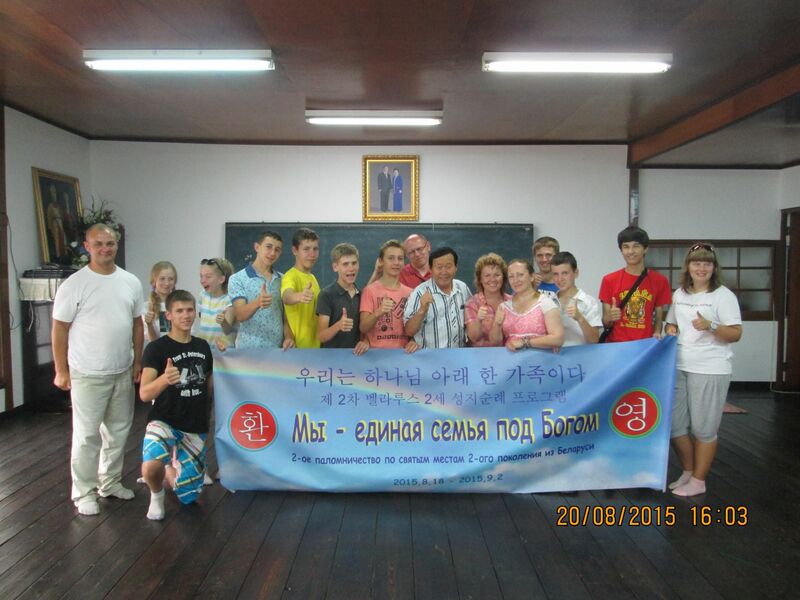 It should be noted that the children had been preparing for the pilgrimage throughout the year, participating in Divine Principle and True Parents life course workshops, doing Jeong Seong conditions. 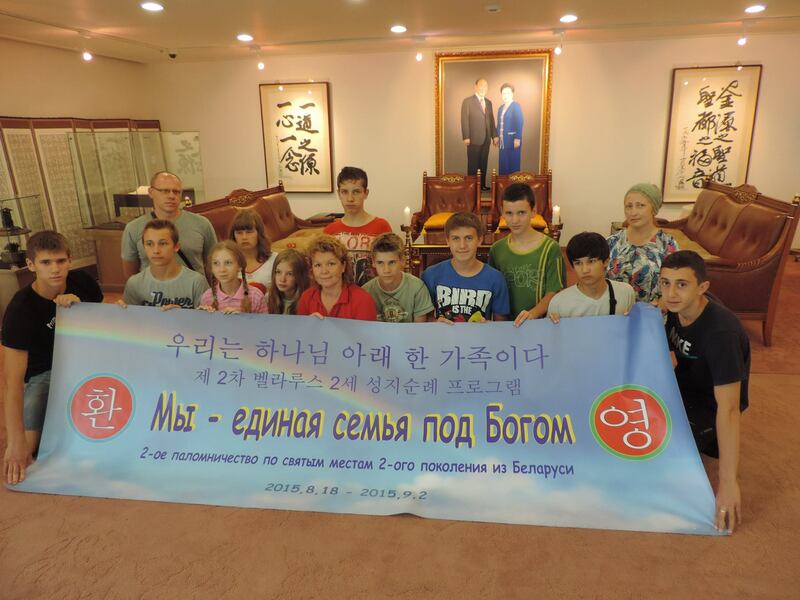 And of course, the children’s participation in the Third Anniversary of the Universal Seong Hwa of True Father became a great final point of the pilgrimage!